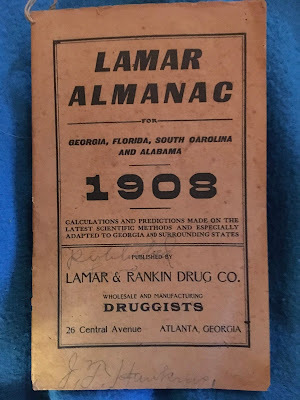 Recently, at an antique store, I found a number of old Almanacs, including a Lamar Almanac from 1908, for Georgia, Florida, South Carolina, and Alabama. Indian Weed gives tone to and builds up the prostrated Nervous and Muscular Systems and makes Regular and Healthy all the natural functions of the female organism. 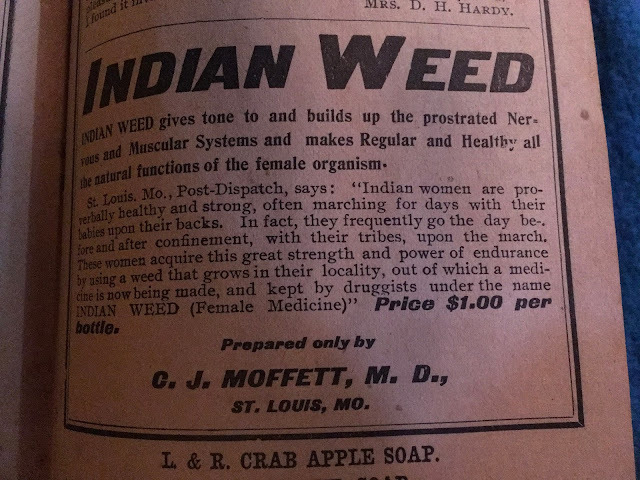 St. Louis, MO., Post-Dispatch, says: “Indian women are proverbially healthy and strong, often marching for days with their babies upon their backs. In fact, they frequently go the day before and after confinement, with their tribes upon the march. These women acquire this great strength and power of endurance by using a weed that grows in their locality, out of which a medicine is now being made, and kept by druggists under the name INDIAN WEED (Female Medicine). It’s only $1/bottle, which in today’s terms would be somewhere around $25, but what is money when you too can embrace racism and an unspecified weed that grows in apparently all localities where native Americans are found to solve all your unspecified female problems! 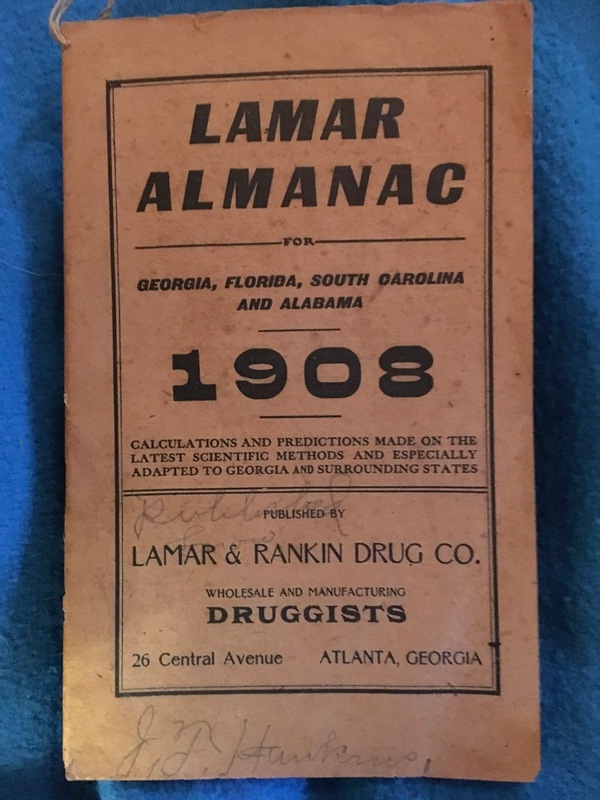 I couldn’t find any explanations online of what this was, since searches either came up with scanned versions of this exact ad, or opining about marijuana. Nonetheless, I think we should see Gwyneth Paltrow selling this soon.